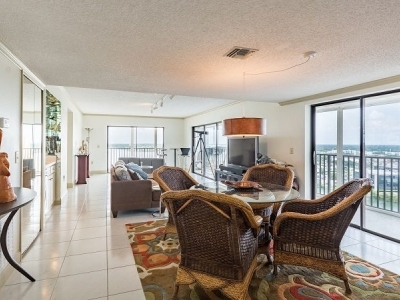 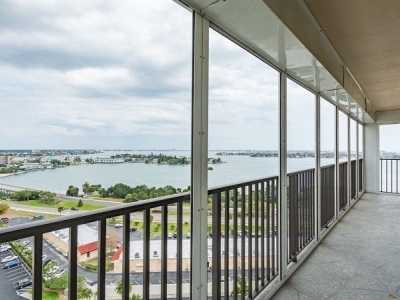 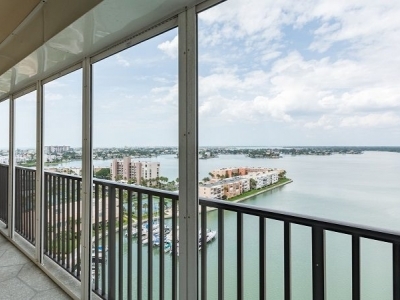 Breathtaking views from your own private wrap around balconies! 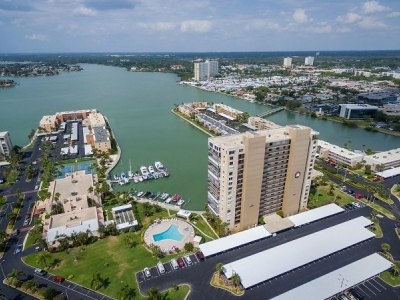 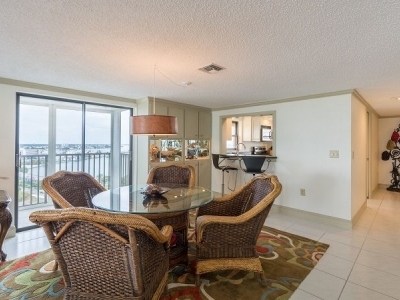 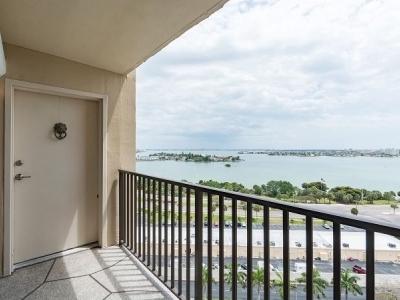 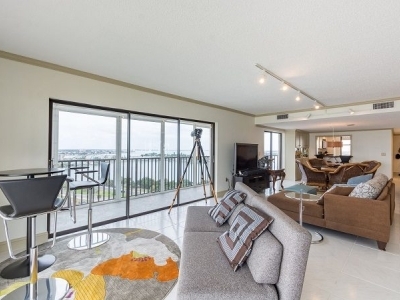 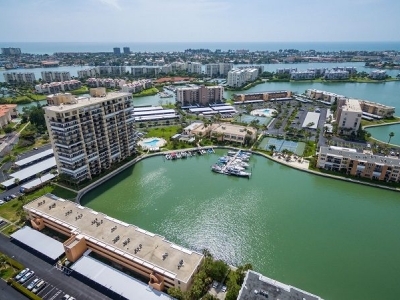 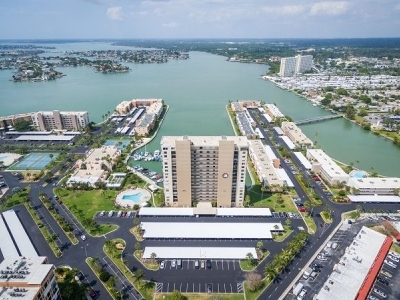 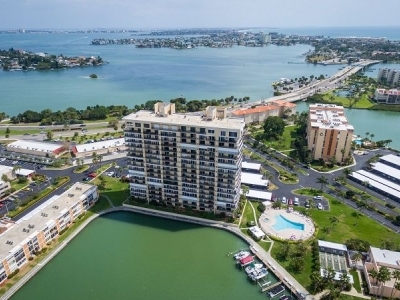 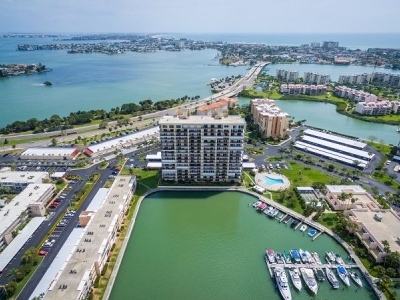 Water views from the North, South and East await you in this 2 bed/2 bath end apartment in the Admiral Building at the desirable Bay Island gated waterfront community!. 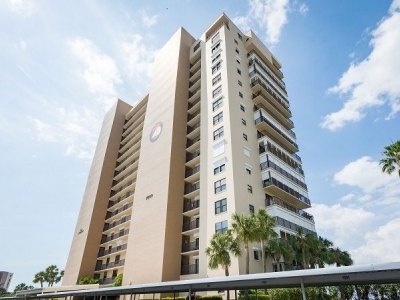 The apartment is full of value additions with motorized hurricane shutters, newer appliances, tile flooring throughout, washer/dryer and a wet bar in the living room complete with ice maker. 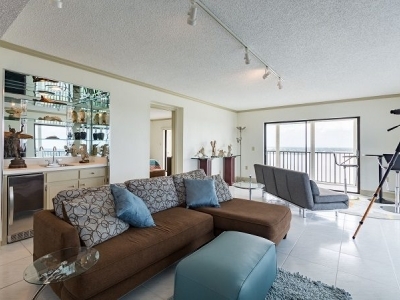 This resort style 55+ community is just minutes to the Gulf beaches and boasts a two story clubhouse with fitness centers, 6 heated pools, 2 spas and 4 tennis courts. 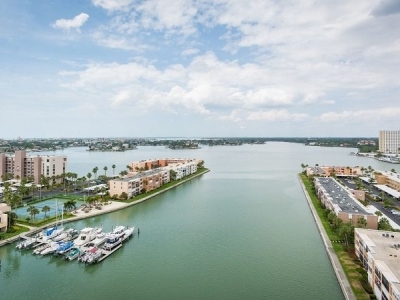 Come live the Florida Lifestyle!